Osteria 1861 is one of the most interesting proposals of the Cilento gastronomic landscape. The fascination and the elegance of the place combined with the dishes created with mastery by the chef make this place enchanting, both on the seafront, with heavenly sea view, in the characteristic stone wall dining room, and in the romantic inner garden where time seems to stand still. Osteria 1861 offers its guests the possibility of having lunch on the waterfront, proposing a light cuisine with typical Cilento fresh food. 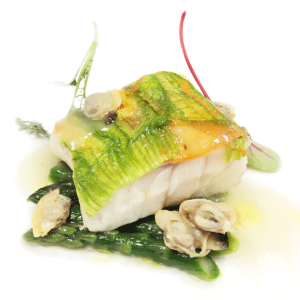 At dinner Osteria 1861 proposes a wise and modern reworking of the typical Cilento cuisine. A unique experience for your palate. Spirit of sacrifice, desire to grow and to improve, seriousness and love for his work. Antonio Tafuro from Sarno (SA), after graduating from the catering institute of Nocera Inferiore, started to work into the pastry shop side by side with his father. Since 1995 he started his work experiences between Italy and Switzerland, moving from traditional restaurants to starred ones. 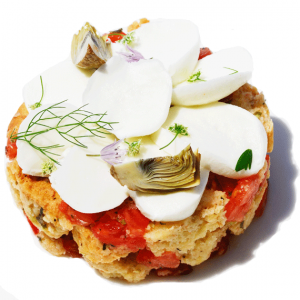 His concept of cuisine is enclosed in three adjectives: dynamic, tasty, authentic. 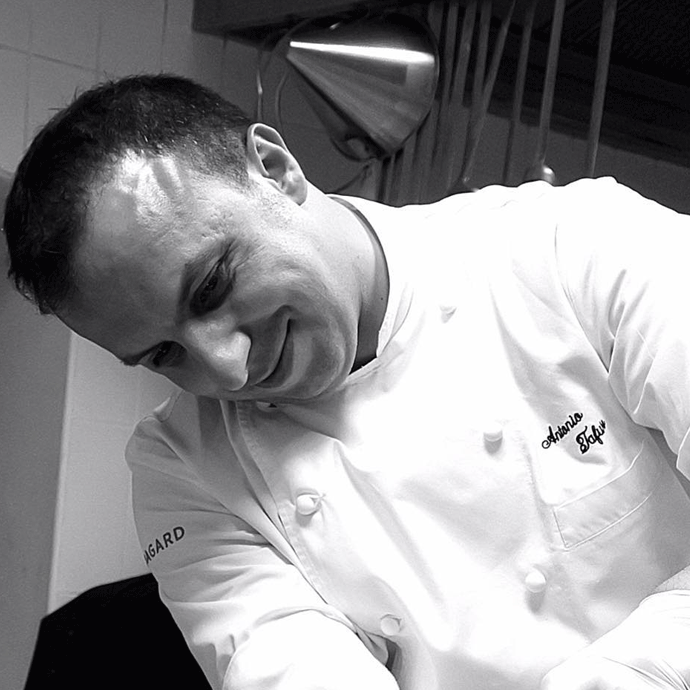 Antonio Tafuro, chef at Osteria 1861, offers a modern cousine, and he tries to bring out the typical Cilento products, without losing sight of the tradition, mixing the technique and the knowledge acquired over the years with the passion, in order to create original dishes.